On many occasions Ngina Kenyatta has won the hearts of many for her simplicity and that was the case as she registered for her Huduma namba at State house. Clad in a white shirt and jeans Ngina was the epitome of what ‘humble’ should be. 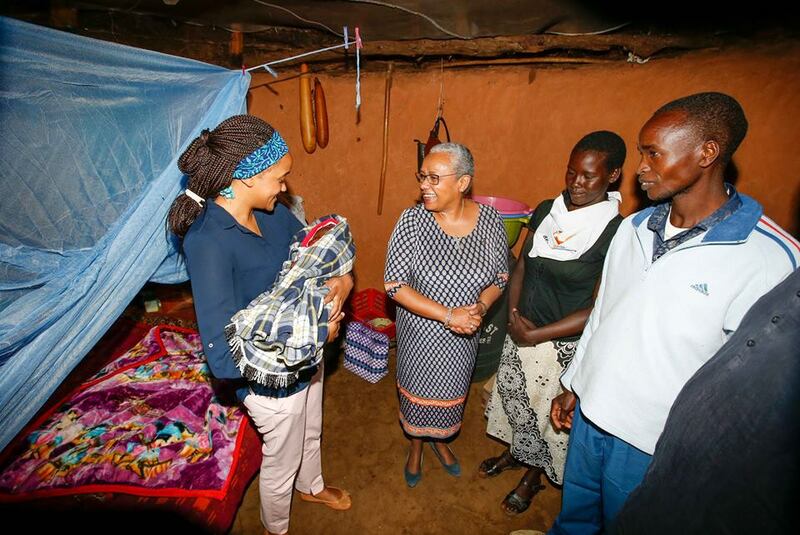 Ngina Kenyatta has seemingly inherited her mother’s compassion for the less privileged. In the past she has visited KENWA children’s home in Muranga accompanied by the Ahadi Kenya trust. Together with the trust the First Daughter distributed shoes and foodstuffs to the home. She also hosted the needy children at the home to a breakfast in a hotel. She has also at some point spent her valentines day sharing flowers with fellow Kenyans and the gesture did not go unnoticed. If you are humble nothing will touch you,neither praise nor disgrace because you know what you are. Below are the different occasions Ngina has proven that despite being a member of the most successful family in Kenya, she is humble at heart.